For someone who doesn’t drink a lot of alcohol, I really like boozy dessert recipes. It has a lot to do with the creativity aspect. Sure, cocktails are fun and delicious… but wine ice pops? Guinness beer cupcakes? Whiskey coffee frosting? Yes, please. I’ve made all of these concoctions several times, and the love never fades. 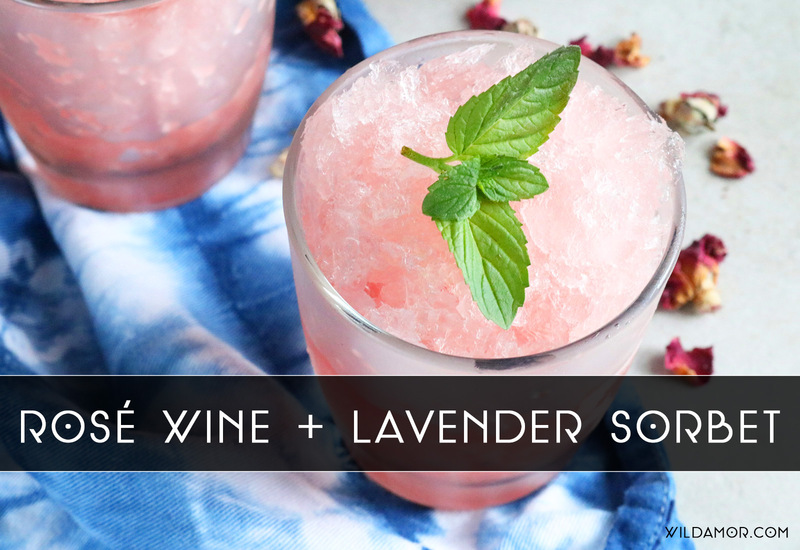 Enter this rosé wine and lavender sorbet recipe. 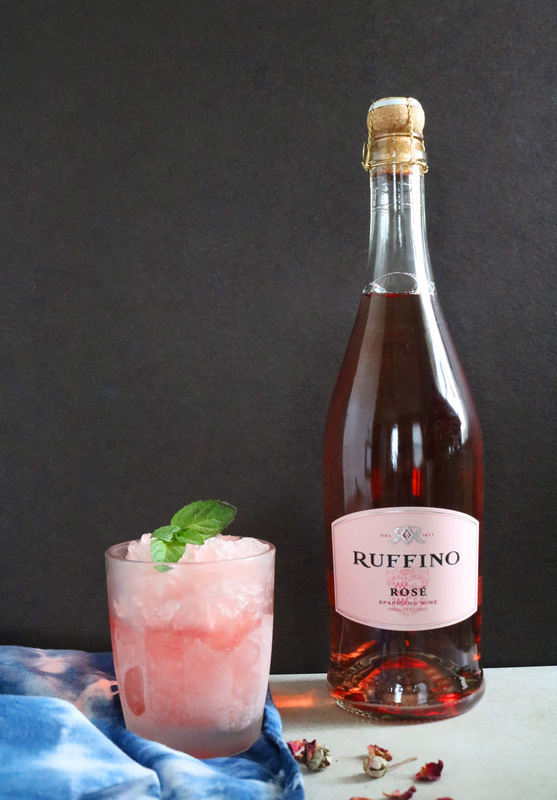 It’s made with Ruffino Sparkling Rosé Wine, which is fragrant enough to complement lavender. At the same time, it’s elegant and light so the lavender can still shine. Also, this sorbet is so refreshing! For this recipe, I used a homemade lavender syrup that I made for Bustle. Otherwise, lavender syrup can be purchased online, from Amazon, and some liquor stores. 1. Over low heat, dissolve the sugar and syrup into the rosé. Stir occasionally to prevent the sugar and syrup from settling on the bottom. 2. Remove from the heat and let cool. Add water and mix well. 3. Pour into a cake pan. Freeze for at least three hours. 4. To serve, scoop into glasses with an ice cream scoop. (But if you’re like me and don’t have one, any old spoon will do.) Garnish with fresh mint or more lavender syrup, and serve immediately. I am obsessed. 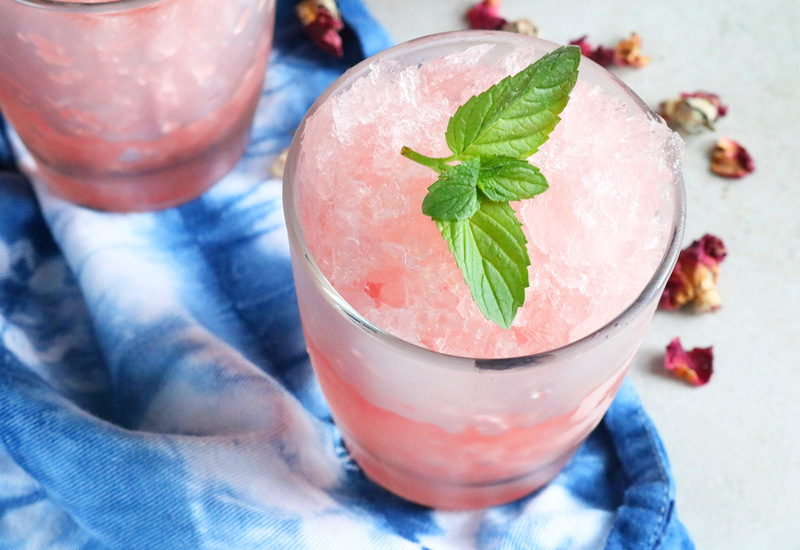 This sorbet is extremely refreshing, so it’ll be perfect for cooling off when it’s warm out. Take that, summer heat. For a party friendly option, pour the mixture into ice pop molds. You can even make ice cubes to toss into lemonade, iced tea, or seltzer. FTC Disclaimer: Ruffino Rosé Sparkling Wine was provided by Ruffino and R/West. All thoughts and opinions are my own; I only collaborate with and feature companies that I truly support. Thank you, Ruffino!